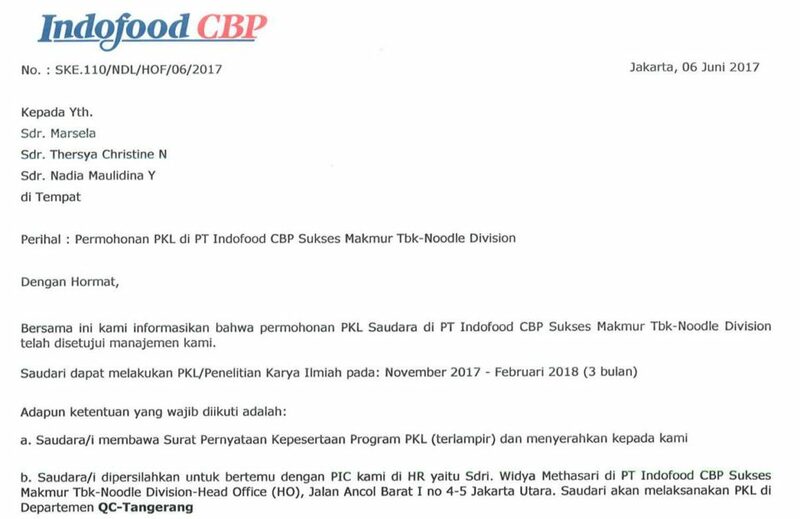 Congratulations to our students Marsela, Thersya and Nadia for successfully obtaning internship at PT Indofood CBP – Noodle Division – QC Tangerang, a premium national company. We wish that this collaboration with industry initiated by the department of Food Technology will foster you to bring empowerment and readiness to face the challenge in the real world. The 3+1 program is an innovation brought by Binus University to achieve the vision of 2 out of 3 graduates of Binus University are working at global communities, premium national company, or becoming entrepreneur.